Out on the Black Sea. Capt wants to water ski. 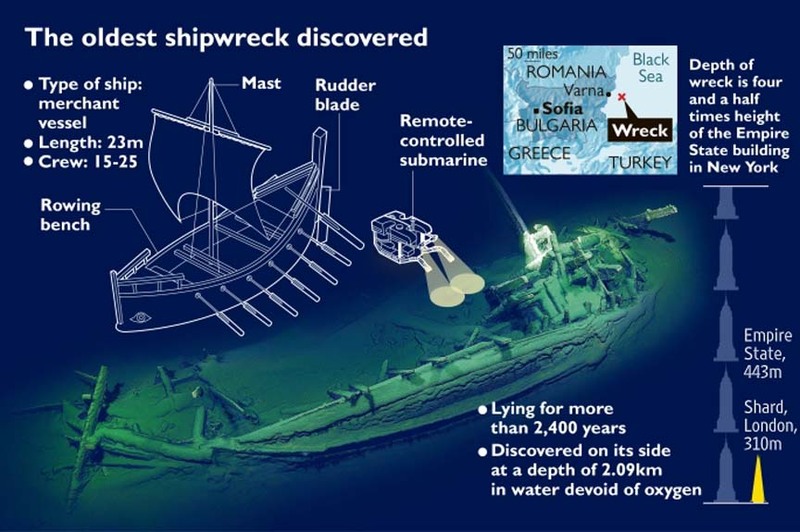 The world’s oldest intact shipwreck, complete with mast, rudders and rowing benches, has been found at the bottom of the Black Sea where it has been lying for more than 2,400 years. The 23-metre merchant vessel was found lying on its side by a remote-controlled submarine. 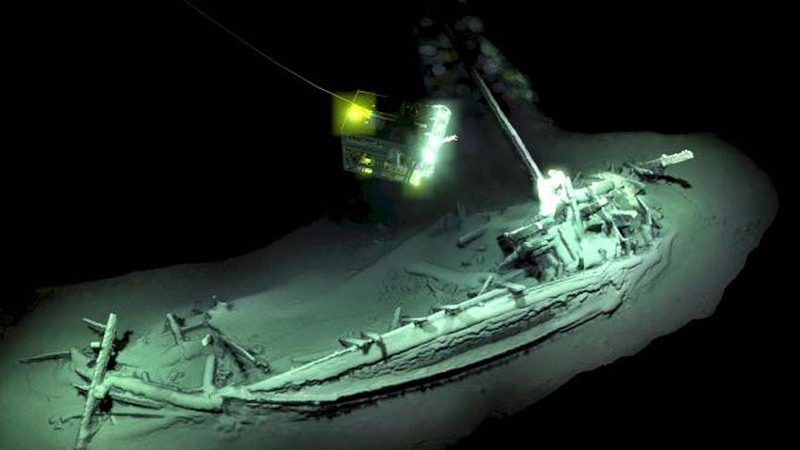 British scientists from the Black Sea Maritime Archaeological Project, which found the wreck, said its location — about 50 miles off the coast of Bulgaria — revealed how far from shore ancient Greek traders ventured. 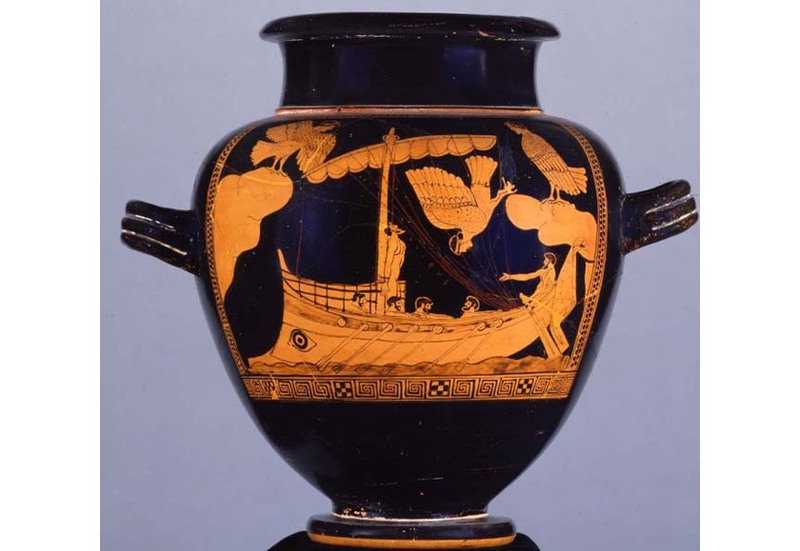 It also showed the accuracy of the Siren Painter, an ancient Greek who decorated wine vessels, including one now in the British Museum showing Odysseus tied to the mast of a remarkably similar ship. Well,.. 50 miles from shore at least that one time that they never came back. That 50 miles may not have been intentional, could have been a storm. ...could have been that left turn at Albuquerque. Methinks the pristine condition is due to the anoxic state of the water at that depth. No oxygen, no bugs, no worms, no fish, no worries. I remember several years ago reading an article that discussed how archeologists were excited to be looking for ship wrecks in the Black Sea. I can't remember WHY they were excited. Maybe they had new high resolution sonar or something. But this article cautioned that even though archeologists expected that there were hundreds and hundreds of wrecks in the Black Sea, they might all be severely damaged. Apparently there is some sort of fishing technique they do there where nets are dragged along the bottom, and that was likely to damage any potential sites. I guess the Black Sea is so vast that not every site has been destroyed. Pretty awesome. No sense in dragging nets 2km deep, there is nothing edible down there. Who took the photograph of the sub? The ship carries two ROVs.